CD reviews: "Flesh & Blood," "The Renaissance Album," "The Music of What Happens," "1 Dour" and "Many Worlds Are Born Tonight"
These reviews first appeared in the October 17, 1998 edition of the American Reporter. One of the more intriguing (and, as it turns out, more lasting and influential) developments of the '60s counterculture was the interest in resuscitating traditional folk music. And so at a music festival of that time, one would hear not only the very modernistic and electric sounds of a Hendrix or Joplin, but also a Fairport Convention or Strawbs playing medieval tunes  often on medieval instruments. While the psychedelic influences that were presumed at the time to be permanently changing the face of music have faded from everywhere but late-night cable shows, the fascination with Europe's historic folk musics persists, and is enjoying another mini-boom of popularity and recordings. One of the first artists to make a success out of playing the music of the Middle Ages to 20th century hippies was Maddy Prior, lead singer of Steeleye Span. Her rich, sonorous vocals defined Steeleye Span's sound and helped make that band one of England's best-known revival outfits. Thirty years later, she's still going strong  still recording, still performing. 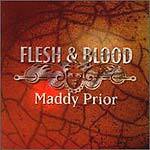 Her latest album, "Flesh & Blood," is a wonderful mixture of traditional covers and new songs written in the style of the historic material she has so long made her own. And there are also a handful of unexpected treasures, covers of songs by people as varied as the modern Finnish composer Jean Sibelius, Catholic theorist G.K. Chesterton and inveterate Catholic-basher Todd Rundgren. All are tied together by Prior's wonderful singing and the simple arrangements given them. The second half of the album is given over to a suite of original compositions by Prior, "Dramatis Personae." The suite is described by Prior in the liner notes as being devoted to personality and based, at least in part, on the Jewish mysticism known as Qabalah. In its tendency toward high drama, "Dramatis" recalls the Strawbs in their heyday and their ability to use a simple muffled snare to conjure a martial air. Where Maddy Prior has always combined the traditional and the modern into a holistic new creation all her own, a new compilation from Windham Hill seems more designed to re-create the sounds of olden times. 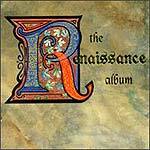 The music on this collection is much what is heard at the various Renaissance fairs throughout the world each summer; go to the new Old Globe Theatre in London or any Shakespeare festival, and if there's a troupe of troubadours, you might even hear some of the songs on "The Renaissance Album." The instruments heard here range from mandolin, dulcimer and lute to true esoterica, things like cittern, zils, dulcian and tenor sacbut (an early trombone, according to the Harper's Dictionary of Music). Artists range from Windham Hill regulars (Liz Story, David Arkenstone, George Winston) to medieval revivalists (Piffaro The Renaissance Band, Ex Umbris, Ensemble de Medici) to a couple of suprises (Hawaiian slack-key guitar master Keola Beamer, and rock stars Ann and Nancy Wilson of Heart). Not all of the songs seem in the true spirit of a Renaissance revival, but all of the songs are pleasant and listenable. 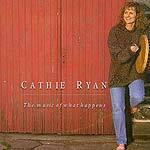 Those who worry about such things as "authenticity" will be disturbed by Cathie Ryan. She's an American, you see. An American who is just about one of the best singers of Irish music on the planet. Ryan's new release on Shanachie (the leading American distributor of Irish music, both from the Olde Sod and stateside) shows a remarkable vocalist with a knack for being both traditional and modern at the same time, without cheating either value. There are traditional Celtic songs here, and then there is "The Lights of San Francisco" which is about an Irish family coping with life in the States. 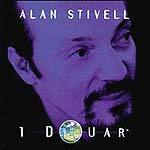 French harpist Alan Stivell first came into the music gig as an attempt to help re-create the Gaelic music traditions of his native Brittany, a region of France settled by the Celts and still peopled by their descendants. Centuries of repression had wiped out the Brittany's Celtic dialect and music, but Stivell  through historic research and generous borrowing from Welsh, Irish and Scottish contemporaries, made a game effort at bringing it back. His latest album, "1 Douar" (1 Earth), is an ambitious effort to marry various traditional musics from around the globe. While it doesn't always work, it is generally saved by Stivell's focus on tradition rather than some all-encompassing "New Age" umbrella. Guest artists Youssou N'Dour, Paddy Moloney, John Cale, Ashley Maher, Soeurs Goadec and Khaled all bring different sensibilities to the project, yet the overall result remains a fairly focused combination of Afro rhythms and a variety of traditional themes laid atop: Stivell's own Gaelic, plus African, other European, and Middle Eastern. Happy Rhodes is one strange woman. Interesting, though. She takes Eurotrad and takes it somewhere else  not so far from Kate Bush in the end, with definite traces of Loreena McKennitt, Stevie Nicks and Jane Siberry. Like those artists, she has a flair for the dramatic. Her music is trancelike, hypnotic, built around small themes repeated over and over while she keeps building the volume and slowly bringing the tempo up. More akin to Siberry and Bush, Rhodes can be listened to over and again  she writes songs that are as structurally complex as they are melodic; repeated listenings bring repeated discoveries. Like McKennitt and Nicks, Rhodes gets a bit new agey at times, but her solid sense of melody and timing also serve to make her music just as accessible and fun as theirs. Anyone who enjoys the above artists will fall in love with Rhodes.